A camera jib crane allows you to move the camera up, down and side-to-side. Unlike traditional industrial jib cranes, camera cranes are smaller, allowing you to use them in small spaces. You can purchase a camera jib crane, but you are probably going to spend nearly $2,000 if you do go this route. You can, however, learn how to build a jib crane for less than $50. All you need are the right tools and materials. Depending on what you have handy in your home, you may be able to do this project for a lot less than $50, especially if you already have an older utility light or one that you’re just willing to sacrifice for the cause. You also need two 2×2 pieces of wood. Then, you just need scrap metal and some bolts. You can use nearly any type of scrap metal. So, if you have any leftover from a previous project, that will work fine. If you don’t have a welding machine, you can usually rent this tool from a local hardware store. Call around to a few, and see who has the cheapest prices. This is only a day project so you only need it for a few hours. Now, it’s time to start building your jib crane. The first thing that you want to do is line up your two pieces of board. Make sure that they are perfectly lined up. You are going to use bolts to connect the camera mount and operator handle to the boards. You shouldn’t have to cut your boards if they are the same size. If they aren’t, shave off the uneven sections. Next, you have to cut your pieces of thin scrap metal. Generally, the pieces for both the operator end and the camera end are the same. The only difference is that you probably want to add some tape or rubber to the operator end since you don’t want to scratch your hands. If the metal is thin enough, use a utility knife to cut it out. The size of the metal ends depends on your preference and your camera. 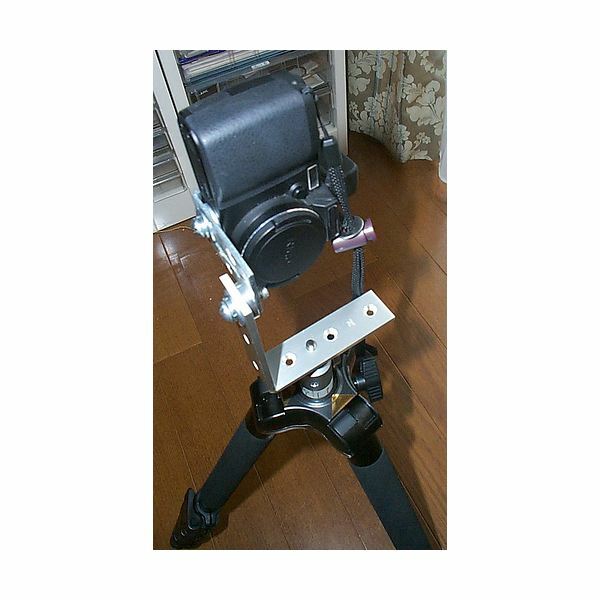 Measure the base of your camera, and make the camera end slightly larger than the camera. You’ll screw the camera into the metal as you would with a tripod. So, you do need to make a small hole in the section for the camera. Bolt the camera and operater metal sections to either end of the two pieces of wood. Now, you need a piece of metal to hold the two pieces of wood together. This metal will also act as the pivot. Use a few pieces of scrap steel bar, and weld them together so they make a triangle. Screw or weld the triangular section to the wood pieces about 1 to 2 feet away from the operator handle. Finally, attach the pivot point to the old stand. Generally, you have to use ¼ inch bolt to connect these two pieces together. But, examine your stand, and see what it accepts. Once you are done creating your jib crane, you must bolt the camera to the base. You should have created a small hole in the base of the metal. If you didn't do this before you attached the metal section, you can still add it after. You must use a metal bit that isn't too large. If you do make the hole too big, use a washer to decrease the size of the hole. Bolt the camera to the jib crane. Ensure that the camera is tight before you start moving it around. If your camera falls off of the jib, you may have to invest in a new one. Also, only use modern mini DV camcorders. Older camcorders are extremely heavy, and your new jib may not be able to handle the weight. If you do want to use an older camcorder, you may want to invest in larger wood and metal pieces. This will make it heavy to carry the jib, but the heavier jib can also handle the weight of the camcorder. Another option is to carry the jib with you as opposed to using a stand. You can do this by making the jib smaller. Basically, cut the wood pieces in half to make it lighter. Try out your camera jib crane for a few practice sessions, and tweak it if necessary. You can always remove the stand to make it easier to fold down and take with you. And, you will always know how to build a jib crane if you need another one.